Home › Dirty Politics › Lim Boon Heng forced to retire? Lim Boon Heng forced to retire? Minister in the Prime Minister’s Office Lim Boon Heng has announced his retirement from politics on Apr 10, 2010. Mr Lim, who is also Chairman of the People’s Action Party and Member of Parliament (MP) for Jurong Group Representation Constituency (GRC), made the announcement at a constituency event on Sunday. 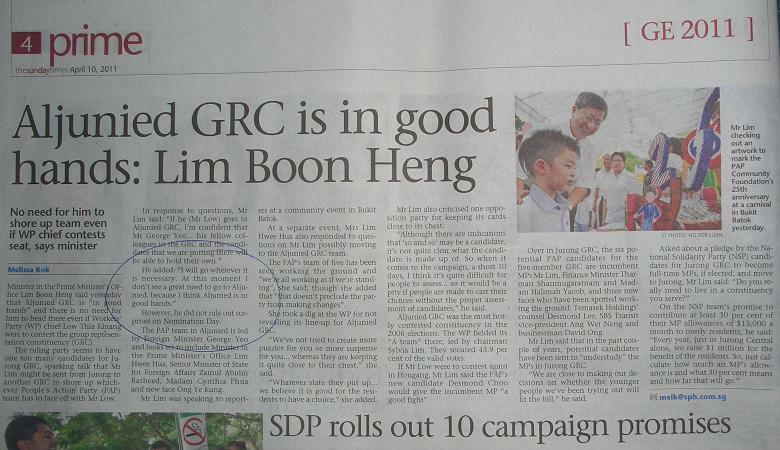 Does Lim Boon Heng not know that he was going to be dropped as a candidate? Was he not consulted or informed? Not even a slightest hint from the Party Exco where he is the Chairman which unlike other retiring minister MPs such as Lee Boon Yang and Yeo Cheow Tong who knew way in advance and had signalled to the press in various occasions? Is there any element of political coup in this case? Why is Lim Boon Heng crying? Lim Boon Heng’s ’sudden’ retirement not that simple!